Well. The day itself was no bigger than the usual 24 hours, of course. Yep…it was a big day! Aaaaaand it got even bigger. It's a Maytag. It was on sale – 10% off. The only one left was the floor model, and so they gave me another 5% off!!! With tax, I still paid $37 less than the regular price. I was really pleased with that. They deliver it – for free($65 value) – on Monday, and my dad will install it with the chord we already have (saving another $20 or so). Whew – that big day finished out even bigger, didn't it? And now…I honestly cannot wait to start that antibiotic! Get to feeling better – S~O~O~N!!!!! WOOHOO on the new dryer :oD I am so happy for you! Dryers are so “nice” well…er…important! That dryer is BEAUTIFUL! I think I might go shed a tear. 🙂 Hope the medicine kicks in and starts to work. I hope you’re feeling better soon, Alesha! 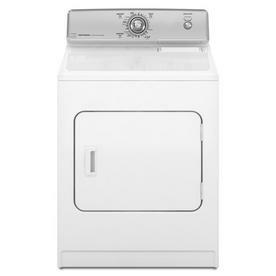 Your new dryer is so shiny and beautiful! Congrats on the new dryer, and the dad who can install with the old cord. Having to buy a new cord with a new dryer has always seemed like some sort of “racket” to me. Congrats on the antibiotics, too. Love natural remedies, but I love antibiotics when they’re needed, too. Get better! So glad you got some AB’s, if I am not doing better by tomorrow I am going to have to go in too, I think it’s been about 5 years since I have had to go on AB’s!! I pray they work well for you and that you are on the mend very soon!!! !